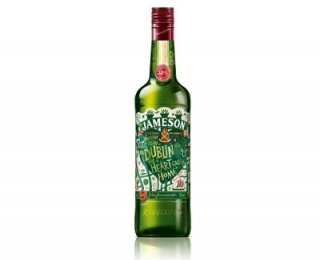 The No.1 Irish whiskey in the world, Jameson is triple distilled, boasting a perfectly balanced, well-rounded flavour. Triple-distilled and aged for a minimum of three years, Jameson Original is reputed for its mild taste. Black Barrel is a triple-distilled blend of rich pot still and grain whisky aged in a mixture of sherry casks and bourbon barrels. The bourbon barrels undergo an additional charring to deliver enhanced nutty notes, spicy tones, vanilla sweetness and sherry fruit flavours. 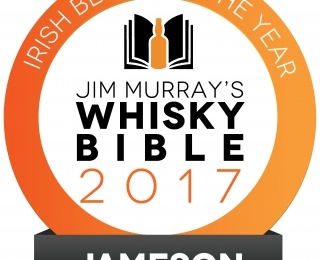 True to our mark of triple distilled smoothness, Jameson Crested – a vivid blend of Pot Still and grain whiskeys – stands tall with unmistakable sherry undertones and understated notes of fruit, spice, and chocolate. This whisky is finished in stout-seasoned whisky casks, giving it notes of cocoa, coffee and butterscotch. Jameson is a product of balance and precision. Firstly, balancing malted and unmalted barley in order to give a natural barley flavour. Secondly, mastering the proportions of triple distilled Pot Still Whiskies and triple distilled Grain Whiskies in order to deliver exceptional smoothness. And lastly, harmonizing the sweet, nutty flavour from Sherry casks with the toasted wood and vanilla notes from the Bourbon casks. John Jameson established his distillery in Dublin in 1780 determined to create the finest whisky in the world. More than 230 years later, Jameson continues to be acclaimed all over the world for its exceptionally smooth taste. John Jameson established his distillery in Dublin in 1780 determined to create the finest whisky in the world. More than 230 years later, Jameson continues to be acclaimed all over the world for its exceptionally smooth taste. The hallmark smoothness comes down to three factors: triple distillation, controlled maturation and masterly blending. Today, Jameson is still distilled in the same way at Midleton Distillery. It can be enjoyed neat, with ice and mixed in a long drink or cocktail.